To boost profits, some dairy farmers are switching to produce upscale organic milk, or even "raw" unpasteurized milk, but it comes with the risk of pathogens which can sicken and even kill consumers. From the lowliest hen to the richest magnate, the size and scale of chicken-growing has determined the fate of every player in this expansive food chain. 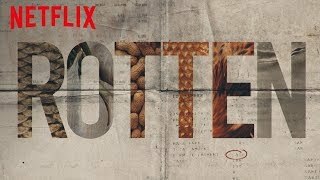 Currently you are able to watch "Rotten" streaming on Netflix.